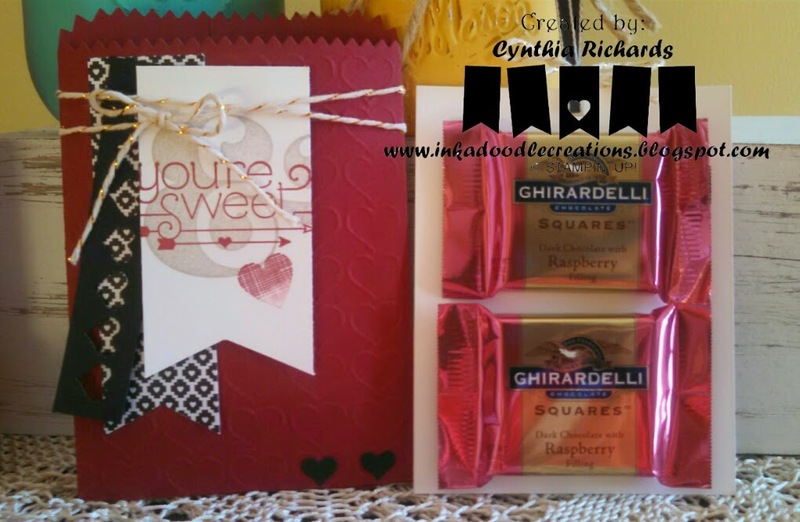 Ink-a-Doodle Creations: Valentines Treaties for the Sweaties! Valentines Treaties for the Sweaties! Good morning! Today I'm here at SSINK and we are sharing fun Valentines Day cards, bags, tags and boxes. Its fun to give candy treats, but its even better to receive them in fun decorated ways. 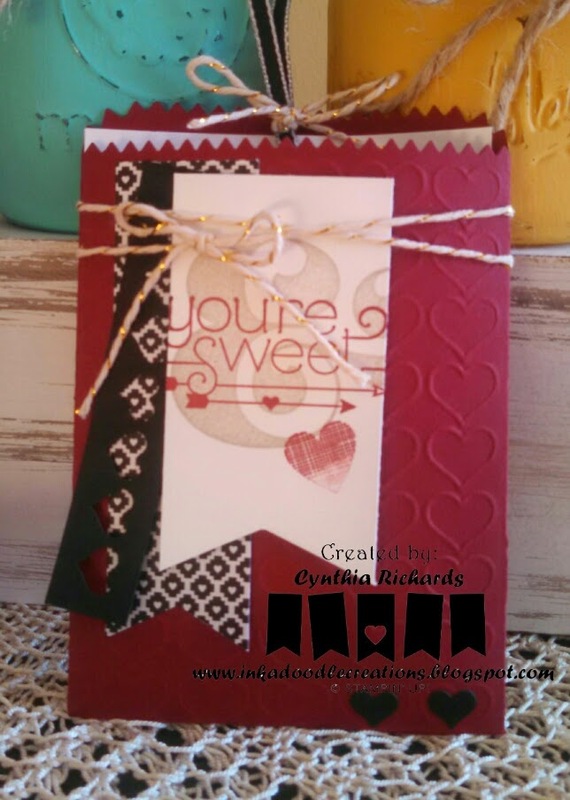 I am in love with the new Stampin' Up! treat bag thinlit set. This just happens to be one of the fun projects my stamp club ladies will be creating this weekend. I created this treat bag with a slide out insert. It holds two small Ghirardelli candy squares perfectly. Oh that hearts embossing folder...how I need it! Love this adorable little bag!